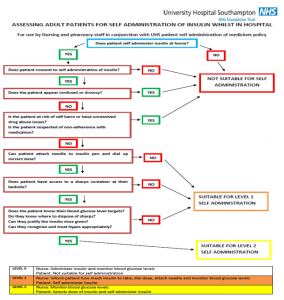 Southampton General Hospital stage an Insulin Safety Week in November 2017 campaign to launch a new assessment tool for the self administration of the drug. University Hospital Southampton NHS Foundation Trust is running an Insulin Safety Week from Monday, November 13, to Friday, November, 17. 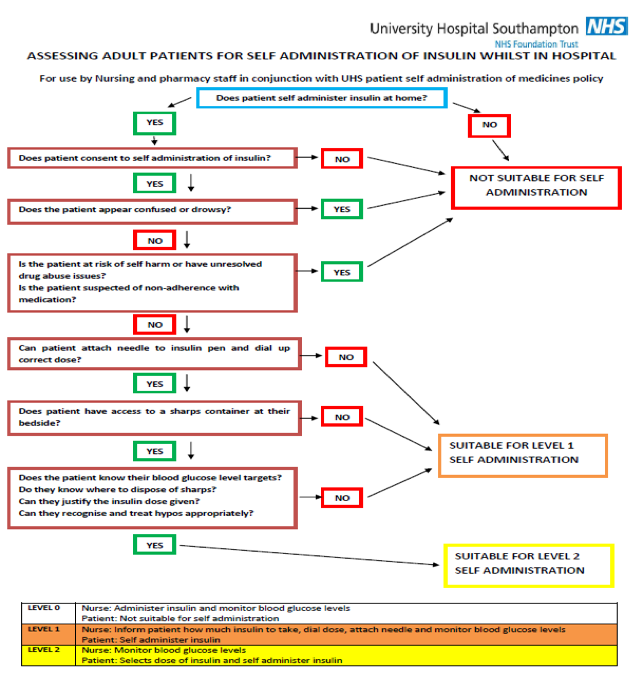 The diabetes team has used the opportunity to roll out the self-administration flowchart following a successful pilot across the trust over the last year. The form is attached to each drug trolley and an initial assessment on newly-admitted patients is carried out by the pharmacy team. The ward pharmacist then checks clinical suitability for patients to self administer their insulin. The information is fed into the electronic prescribing system and each time a nurse does their drug round, a reminder pops up so that they can check the patient is still at the assessed level. The pilot showed that the process saves nursing time and money through reduced pen wastage as well as improving insulin timing and patient satisfaction levels. 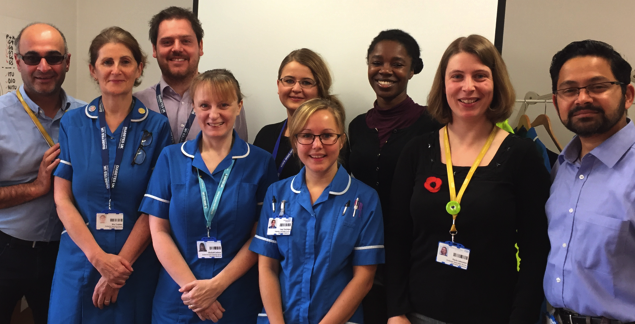 The diabetes team has also been holding education sessions in one of the hospital’s restaurants throughout the Insulin Safety Week, covering insulin pumps, self administration, pens and devices, injection techniques and prescribing. Meanwhile, link nurses have been asked to encourage colleagues to make pledges on how to improve insulin safety, which have been pinned to a board. Additionally, an advert calendar will help the hospital count down the days till Christmas with daily facts about insulin.